We will create a high quality hub with about 4-5 modules on your topic with up to 2 links of your choosing and promote it via social engagement for you. Hubpages can be a great way of boosting your website. This website is high authority and visible. Not only will we create a professional, well researched hub in your area, we will also promote it for you so that it gets the best exposure. Note: Hubpages does not accept adult, gambling, or topics that are at all controversial. If Hubpages outright denies an article because of the subject, we will use a different but similar site to post the content. Also, please note that, while we used to offer both Squidoo and Hubpages submissions, Squidoo has since been merged into Hubpages. As such, any Squidoo orders will be automatically replaced with a similar Hubpages product. Every order comes with the link to your hub plus a report of how we have promoted it for you. 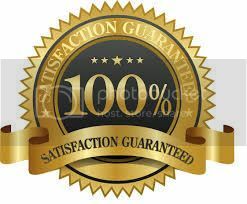 We test each of our services to make sure that you get good quality work and fast turnaround time. If you ever have a question about your order – just leave us a message or send us an email. Our friendly staff will get back to you within 12 hours. Our customer service staff are American and own websites themselves – so we understand your needs. Ever feel antsy if your outsourced work is being done? >> Report Ready & Order Completed. Currently, most orders begin processing within 18 hours and complete within 3-4 days. We are diligently promoting your site 24/7 and are always striving to improve. At the end of the day, it’s the results that matter. Checkout what our customers have to say and try our services for yourself.